Last week a study was released showing that sodium levels in chain restaurant meals are still ridiculously high. The researchers found that some meals contained roughly the maximum amount of sodium an adult should consume throughout an entire day. Sure, some people only eat one meal a day, but this isn’t a recommended pattern of eating, and most of us eat at least three times a day. While I agree with the researchers that there need to be regulations to ensure that restaurant meals, and packaged foods for that matter, contain lower amounts of sodium and menus are labelled, I think that there are a few more important lessons to be learned here. First, I just have to say the thing that bothered me the most upon hearing the story on the radio was the man from the restaurant industry who stated that sodium is necessary for flavour and food safety! I get that salt is a common preservative but when I’m eating at a restaurant I’m going for fresh, quality food. The thought that high levels of salt are added to food to make it safe is rather alarming to me. As for the flavour comment, that’s what salt shakers are for. 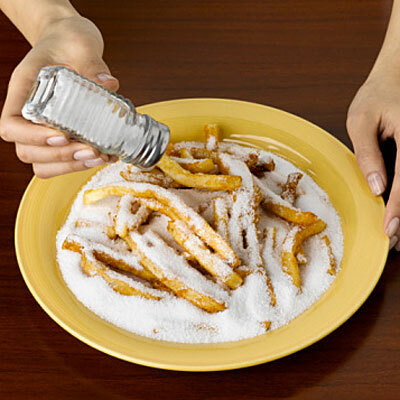 Customers should be given the option of adding more salt to their food. Obviously you can’t remove salt once it’s in a meal (well, at least not at a restaurant table, perhaps in a lab) so why not use the least amount of salt possible, flavour with herb, spices, and lemon zest, and allow customers to add more salt if they desire. Okay… on to what I think are the important lessons to be learned here… One, this study only looked at restaurants with at least 20 locations. That means local restaurants were not included. Many of these places employ excellent chefs who use fresh ingredients and don’t rely on salt to make their meals flavourful. Talk to the chef if you have concerns about ingredients, find out if nutrition information is available for your favourite dishes. Ultimately: avoid chain restaurants; buy local. Two, you should be preparing the majority of the meals you eat yourself. Sorry, but you can’t trust anyone. Only you can take care of yourself. Try to use minimally processed ingredients and read labels on any packaged foods you purchase. Restaurants are lovely for a treat but they shouldn’t be providing you with the majority of your meals. Be your own personal chef. 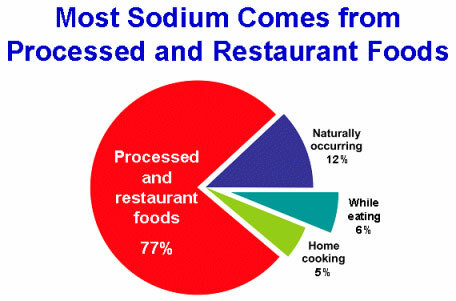 Tags: Canada, chain eateries, cooking, healthy eating, local, nutrition, restaurants, salt, sodium | Permalink. As with all foods/supplements, all protein powders are not created equal. Protein powder isn’t something that I consume much of. I find it’s often gritty and overly sweet and I’m confident that I can get adequate protein from consuming whole foods. However, for the sake of product knowledge, I do occasionally try a protein shake as part of my breakfast. I always look at the protein content of each protein powder. As an aside, most tend to be about 24 grams per serving, although, some, such as hemp protein powder, can be considerably lower (8-15 g). Something I never considered looking at was the sodium content until one day I just happened to notice it on the package shown on the above left. I was shocked that a serving of protein powder would contain half a day’s worth of sodium. It is a “sport” protein so maybe that’s why; to replace electrolytes lost during an exceptionally sweaty workout. Still, I’m sure that most people wouldn’t expect to be getting so much sodium from a protein shake and I imagine that there are others out there like me who never even thought about looking at this information. I started looking at the nutrition information labels on other protein powders in the store. 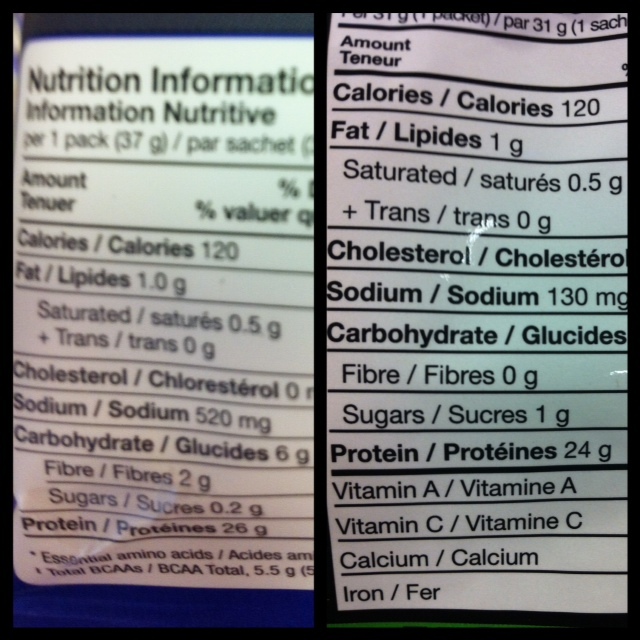 Most were similar to the much more reasonable 130 grams seen in the whey protein powder (pictured above right). If you do consume protein powder regularly you might want to check the label to ensure that you’re not getting more sodium than you bargained for. Tags: grocery store lessons, label reading, nutrition, protein, protein powder, sodium, supplements | Permalink. I somehow stumbled across this blog Articles of Health the other day. I was a little baffled by this “research scientist” promoting the use of some sort of liquid salt obtained from the Great Salt Lake. According to this Robert O. Young, standard table salt is toxic and is putting the PH balance of our bodies in jeopardy. 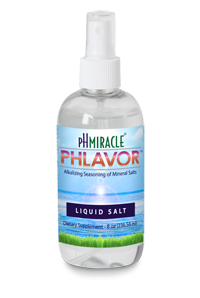 Instead, we should be consuming this liquid salt which provides many cures for common ailments such as ear infections, all sorts of imbalances, psoriasis, nasal congestion, etc. Interestingly enough, this liquid salt from the Great Lake is said to be superior to your regular sea salt or rock salt because “The oceans are being used as dumping grounds for harmful toxic poisons”. Funny, that the Great Salt Lake should be immune to pollutants. Not that Wikipedia is the be-all and end-all, but I found these statements about the Great Salt Lake quite interesting: “US Geological Survey and US Fish & Wildlife researchers, originally studying selenium levels in the lake, discovered some of the highest levels of methyl-mercury they had ever seen, at 25 nanograms per liter of water.” And: “Food-grade salt is not produced from the lake, as it would require further costly processing to ensure its purity.” The bottom of Young’s post contains a link to an online store for purchase of his magical salt. I was curious about a research scientist who would blatantly promote such a product so I googled him. The second hit was a lovely in-depth article on Quack Watch: A Critical Look at “Dr.” Robert O. Young’s Theories and Credentials. Highlights include the fact that much of his alleged medical training is suspect. His views are not supported by any scientific research. In addition, as you (hopefully) already know, the notion of an alkaline diet is absolute hogwash. The idea that dietary modification can change the acidity of the body is silly. Homeostatic mechanisms keep the acidity of the blood stream within a narrow range. Certain foods can leave end-products called ash. Alkaline-ash foods include fresh fruit and raw vegetables. Acid-ash foods include all animal products, whole grains, beans, and other seeds. These foods can change the acidity of the urine (but not the body as a whole), but that’s irrelevant since your urine is contained in your bladder and does not affect the pH elsewhere in the body . Thus, even if “body pH” were a primary cause of disease, the strategies the Youngs propose would not influence it in the way they claim. This liquid salt is not going to provide superior benefits to other forms of salt. In fact, if it is actually obtained from the Great Salt Lake as Young claims, it’s quite likely to provide more toxins than traditional forms of salt. Never trust a “doctor” who is going to receive financial benefit from providing you with a “cure”. Tags: acidity, alkaline, contamination, Dr Robert O Young, pH diet, PHlavor, quack watch, salt, scam, sodium, toxins | Permalink. Oh great, the latest headlines on salt: People eat too much salt but surprising report questions if eating too little could be harmful. Not exactly, the Institute of Medicine (IOM) released a report, based on a review of studies pertaining to salt/sodium consumption and health. The report indicated that there may not be much benefit to reducing sodium consumption below the current recommended maximum of 2, 300 mg/day. They also looked at a few studies that found sodium consumption much below this amount might actually be detrimental to health. However, these studies all had major flaws and most looked at patients with serious health issues rather than looking at sodium reduction in the general population as a preventative health measure. You can access the full report, or the report brief here. Yes, the report states that there is no research available to support reducing sodium consumption to 1, 500 mg/day, or less. Yes, the report also suggests that there may be some risk in reducing sodium consumption to 1, 500 mg/day in certain subsets of the population. That doesn’t mean that there may not be benefit in reduced sodium intake for those outside of those population subsets. It just means that there’s currently no research to support recommendations of less than 1, 500 mg of sodium per day. More research could be conducted and it may be the case that there is benefit, or not, the point is that we don’t know. What we do know is that there is a benefit from reducing sodium intake to no more than 2, 300 mg/day and that most Americans (Canadians may be slightly worse due to the salty formulations of our packaged and fast food) consume in excess of this: on average, 3, 400 mg/day. Even if there proves to be no benefit to consuming as little as 1, 500 mg of sodium a day we can still benefit from a drastic reduction in sodium intake. Don’t let the headlines fool you into thinking that you might be harmed by reducing your sodium intake. 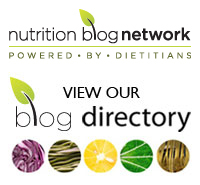 Tags: headlines, IOM, nutrition, salt, sodium | Permalink.